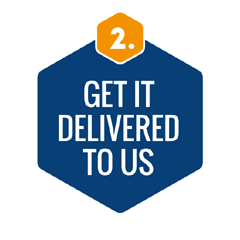 In addition to our excellent range of stock bikes and availability from Orbea and Raleigh we are offering a unique style of “Click and Collect Service” that does not limit our customers to any particular retailer, brand, or type of bike. 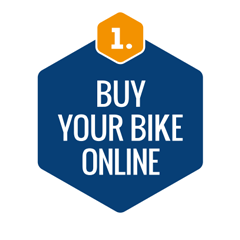 We have set this up to compliment what is available across the internet and utilise the power of the web to get the best outcomes for our customers and at the same time have the backing of a local bike shop. What this means is that you can buy a bike from anywhere (which will arrive in a box) and have it delivered to us. We will then unpack and put it all together and give it a full check over and safety test ride. The bike will then be included in our Lifetime Free Service Plan as well as a free 6-week check over. 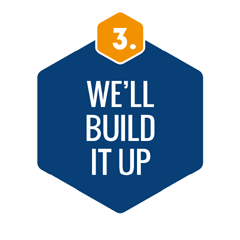 Invariably, most bikes are not delivered ready to ride and our Cytech trained mechanics will ensure that your new pride and joy is ready to go using our 31-point check list. If you have it delivered to your house first that is not a problem and we can also deal with any warranty issues that may arise on your behalf. If you require any additional help in what to buy, sizing and where from we are happy to offer help with our Consultancy Service and if you wish we can even arrange to source the bike for you from our contacts in the trade. If you want to build up a complete bike from scratch with parts from different suppliers, we are happy to help, and you may want to also consider our DIY option and get involved with the build yourself. This service can potentially offer huge ££ savings using the power on the internet coupled with getting the support and back up service from a local bike shop. We take the hassle out so that you have more time to enjoy your ride. And of course, you can still buy from our excellent range of stock bikes as we are authorised dealers for Orbea and Raleigh. Orbea comes with lifetime warranties on the frames and benefit from our free 6 week check over and Lifetime Free Service Plan. (see our workshop for full T&C`s). Our in-store bikes are available to be test ridden for extra piece of mind. These include E-Bikes, Hybrids, Road, Mountain Bikes and Leisure and Kids bikes.